One of the keys to using Twitter effectively is to spread out one's tweets with reasonable intervals of time between them. Few of us particularly like to see someone rapid-fire a barrage of tweets at the same time. Another key to effective Twitter use involves the ability to schedule tweets in advance so that they go out when they are most likely to be seen even if we are not online at the time. 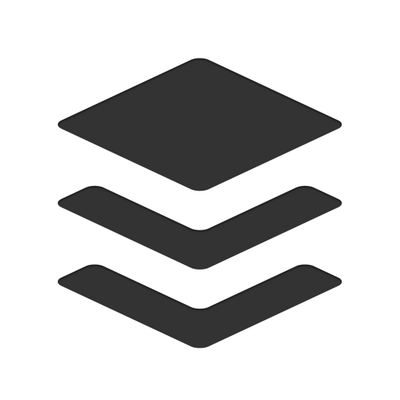 These features are part of what makes Buffer so helpful. Add the fact that Buffer can do the same thing with Facebook, Google+, App.net, and Linkedin, and one ends up with an extremely powerful tool for managing one's social media presence. Buffer allows users to get a sense of the service for free by adding one Facebook page or profile, one Twitter account, one Google+ account, one App.net account, and/or one Linkedin account. The primary limitations of the free service are that one can only schedule up to 10 advance posts in each account and one is limited in scheduling to one schedule of times in each account (i.e., one can select the times Buffer will post and the days of the week it will post but it will use the same selected times for each day of the week selected). Even with these limits, the free plan gives users a great idea of what Buffer can do. Upgrading to Buffer's "awesome" plan lets one schedule as many advance posts as one wants and gives great flexibility in scheduling (e.g., one can set up different posting times for each day of the week if one wants). I started using Buffer in 2012 after becoming dissatisfied with SocialOmph. SocialOmph was handy but limited to Twitter; Buffer's capabilities for all the other social media services made it far more attractive. Buffer allows me to schedule when posts from Atheist Revolution are distributed on my various social media channels. It has been particularly handy for breathing new life into old posts. I also use it to promote others' content on my Twitter account and Facebook profile. While I am definitely a fan of Buffer, the service is not perfect. I have never found the analytics it provides to be particularly useful. It makes it fairly easy to identify one's most (and least) popular posts, but it isn't clear how knowing this information translates into action. Part of the problem is that there is likely to be a content x time interaction so that differences in popularity could be due to either one. More advanced analytics are available in the "Buffer for business" plan, but this is quite a bit more expensive than the awesome plan. I also wish there was a way to customize Buffer's suggested content by entering one's own keywords. I have never found a single one of their suggestions helpful or relevant. What I can tell you is that since I started using Buffer, I have been able to be more active on my social media accounts while spending less time doing so. It has definitely made the process more efficient. I've also seen better results in post reach as a result of scheduling my content distribution for times when I am not able to be online doing it manually.